Although chop saws and miter saws essentially share the same basic function, there are in fact significant differences between the two. For anyone thinking about purchasing one or the other, it would be wise to understand these key differences, in order to ensure that you get the most appropriate tool for your specific needs. Both chop saws and miter saws use a circular blade and ‘drop down’ to cut from top to bottom. 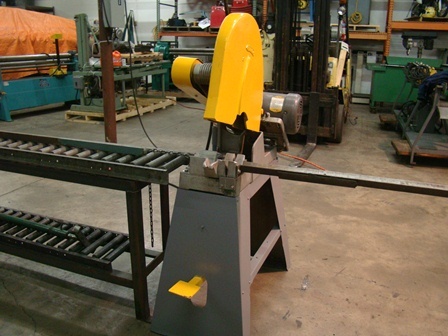 Generally speaking, chop saws are larger and more powerful than miter saws, and are most often used in commercial or industrial shops for cutting large volumes of heavy-duty material. For the vast majority of home improvement or around-the-house projects, a quality 10 or 12-inch miter saw would be a more appropriate choice than a chop saw. Miter saws are much more capable of producing neat, finished cuts on small pieces of material such as trim, molding, or door/picture frames. A miter saw would also be the more appropriate choice for general purpose woodworking. The main difference between a chop saw and a miter saw is that a miter saw can rotate and produce angled cuts (or ‘miters’ … hence the name). Chop saws only cut straight, 90-degree angles. The other main difference is that chop saws are larger (they typically use a minimum of a 14-inch blade), and more powerful. Most often used with abrasive metal cut-off wheels, chop saws are hardy machines that will cut through just about anything. A Popular Mechanics article refers to them as the predator of power tools. Miter saws, on the other hand, might be thought of as more of a ‘finesse’ machine. As stated earlier, a good miter saw is a much better choice for producing perfect, neat, finished cuts on small pieces of material such as framing, molding, or small piping. As we already mentioned, the biggest difference between a miter saw and a chop saw is the miter saw’s ability to make angled cuts. 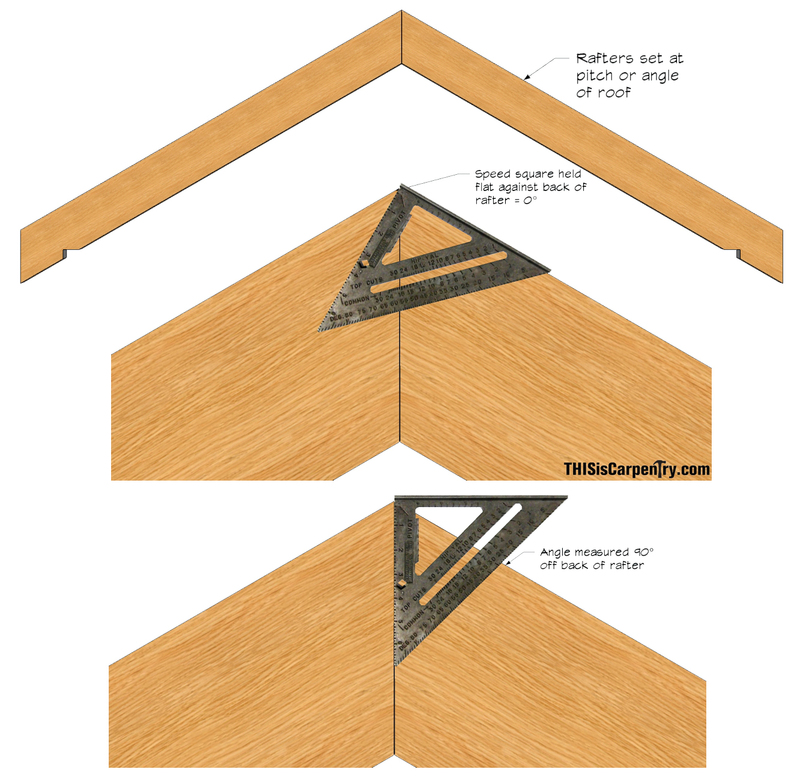 This is of course invaluable for any type of framing, woodworking, or molding project. Additionally, if you really need to get technical, a compound miter saw has the ability to tilt the saw blade on its axis. Although this is a neat feature, it would be rare to encounter a practical need for this in a typical home improvement project. The majority of miter saws are available in 10 or 12-inch options. In our opinion, for general purpose use, we don’t really see the need to spend the extra money on a 12-inch saw. A 10-inch standard (non-compound) miter saw will give you the best bang for your buck, and will get you through nearly any DIY home-improvement project. As we already said, chop saws are powerful, aggressive machines. If you’re a welder/fabricator that’s going to be working with steel, or if you’re building a house, for example, and you need to cut studs, trusses, joists, and rafters, a good chop saw would definitely be recommended over a miter saw. Nearly all chop saws come standard with an abrasive metal cut-off wheel, although there are some manufacturers now that offer multi-purpose ‘cold-cut’ blades. Abrasive blades produce loads of sparks and leave the material piping hot after the cut is made, whereas a cold-cut saw will cut through the same material with little to no sparks, and leave the material cool to the touch after the cut is made. Here’s a great video showcasing the difference between an abrasive and cold-cut chop saw. Although the majority of chop saws that you’ll find at the standard hardware stores are 14”, some foot-lever industrial/commercial saws can be massive. Additionally, gasoline-powered ‘freehand’ chop saws can be used mobily, and are essentially gigantic angle-grinders. Extreme caution should be taken if using a freehand chop saw. Below is a list of a few of the best rated/reviewed products out there for both miter saws and chop saws. Our top miter saw pick based on quality, performance, and overall value, is the DeWalt DWS780. Although the price tag may seem a little hefty for the everyday handyman, this is a dependable, top quality saw that will last you decades if taken care of and properly maintained, and will tackle any job you throw its way. The built-in LED light on this saw is incredible. It is phenomenally accurate, requires zero calibration out of the box, and lines up each cut with pinpoint precision. Rigidity and durability: straight out of the box, this saw has the feel of quality and durability, and shows no sign of hesitation getting through even the toughest of materials. Definitely get what you pay for. Our top chop saw pick without a doubt is the DeWalt D28715. This is a no-frills, no gimmicks, absolute workhorse of a saw that should have a place in every fabrication shop or serious DIY’ers garage. At 5.5 hp and a with 14-inch abrasion cut-off wheel, it makes quick work of heavy duty pieces of angle iron, steel tubing, or just about anything else you need to tear through with zero hesitation. The quick-change blade system. Many of the saws we’ve dealt with over the years have overly-complex systems (and specialized tools that always seem to get lost) for changing blades. The D28715 is not one of them. With a no-wrench blade system, swapping out abrasion wheels is an absolute breeze. The quick-lock vice system. The last thing you need when operating a 14-inch cut-off wheel at 4,000 rpm is for your material to slip on the fence or go flying out of the vice like a rogue mortar shell. With the D28715’s rock-solid clamp system, this will be the farthest thing from your mind. In short, for the vast majority of DIY, around-the-house projects, you can’t go wrong with the versatility and functionality of a good miter saw. If you’re going big-time, however, and plan on cutting high volumes of large, thick, heavy-duty wood or metal, the chop saw’s your guy.